Hi! Our names are Tom and Peggy Zumwalt and we live in Boise, Idaho. I'm originally from Longview, Wa. and Peggy is from Philadelphia, Pa. I have lived here most of my life and Peggy has been here since 1985. We enjoy going camping and riding around in our Polaris RZR XP 1000 in the mountains. We hunt and fish and love the outdoors. In the winter we use to snowmobile, now we ride our Polaris RZR XP 1000 and enjoy the winter activities in our state. We are retired now and get to enjoy our state even more! There are a lot of streams and lakes in Idaho to fish. You can catch trout, steel head, bass, perch, and many other types of fish in Idaho.
" 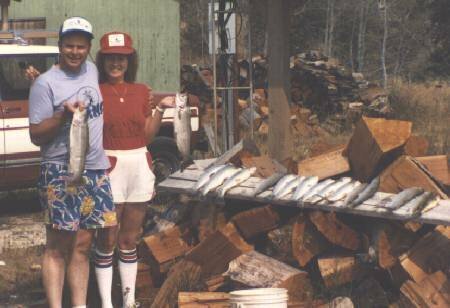 We caught a lot of nice trout one Labor Day." "6 3/4 Pound Trout Caught in Cascade Reservoir "
Hunting in Idaho is usually good and we get to see a lot of beautiful country. A few years ago Peggy even got a six point bull elk. 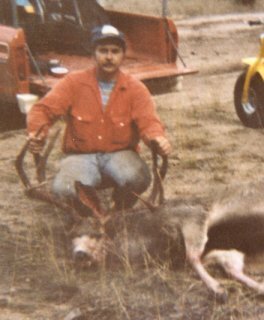 You can hunt deer, elk, bear, antelope, and moose to name a few of the animals to hunt in our state. 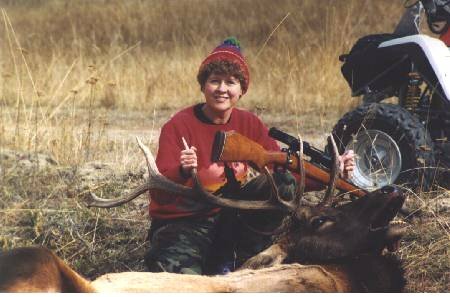 "Peggy with 6 Point Bull Elk "She Shot"
"235 pound 4 point Mule Deer"
There are lots of old logging roads all over the state that can be traveled on four wheelers and there are many miles of designated trails to ride. You can see some real beautiful sites and even some wild life. Many times when we are riding we see deer and elk. 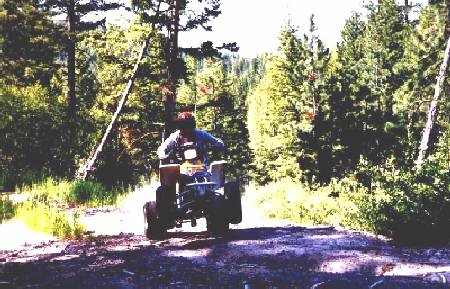 "Riding a trail near Cascade, Idaho"
We snowmobile most of the time near a town called Cascade. There are many miles of groomed trails and lots of old logging roads to ride. 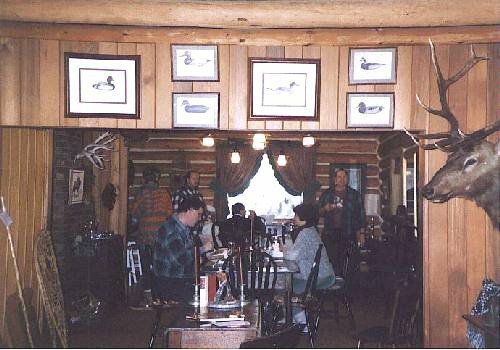 There are some lodges that you can snowmobile to, eat lunch, get gas, or even spend the night if you wish. 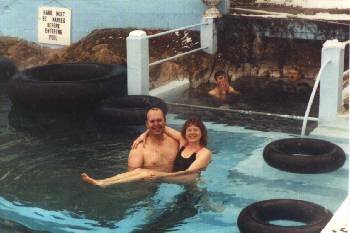 There is one warm springs lodge that we enjoy snowmobiling to, that is only accessible in the winter by snowmobiles, that you can eat, get gas, spend the night and swim in the outdoor warm springs pool. It is one of our favorites. 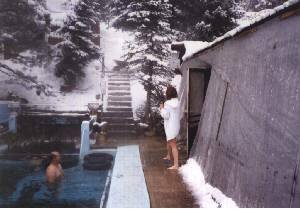 "Our Trip To Wapiti Lodge"
It Was Snowing While We Were In The Pool! !